I am a law student in the United States, currently entering my third year of study. I am married to a Canadian citizen. My wife and I are giving serious consideration to moving to Canada. I have been seeking information and advice regarding the feasibility of pursuing my legal career in Canada. Specifically, I am trying to decide whether it makes more sense, from a career perspective, to: (A) pass the bar here in the U.S., practice in the U.S. for a few years, and then move to Canada to seek accreditation and employment, (B) pass the bar here in the U.S. and then immediately move to Canada to seek accreditation and employment, or (C) move to Canada after graduation, without passing the bar in the U.S., to seek accreditation and employment. Any thoughts? I am curious if there are lawyers with similar experiences who can share any lessons learned with me? The best thing to do is to look at each province's individual bar admissions - i.e., if passing a US bar will save time, etc. If you have not discovered this already, please be advised that Canada requires a (generally) 10-month paid articling term after passing the bar in a Canadian jurisdiction. I have heard some rumor that the length of articling is reduced substantially for U.S. attorneys. Unfortunately, I cannot give you any specific information, especially regarding the length of U.S. practice experience required to get the reduced articling term, or the extent of the reduction. It may be that articling is reduced to 4 months. Second, you should know that interviews for articling positions generally are conducted prior to students' third year. That is not to say that there are no other options to complete your articles or that you will not find an excellent opportunity, but it is a bit late in the game for 2007-2008. If I am needlessly pointing you to questions you have researched already, I apologize, but I simply would suggest that you contact the Law Society of Upper Canada directly to determine the transfer requirements for U.S. attorneys (i.e., length of U.S. practice, whether a bar exam will be required, and the length of articling for transfer applicants). The best possible circumstances, of course, would be to learn that the Law Society will recognize a U.S. degree and permit you to sit for the bar and to apply for what articling positions are still available, or to apply next summer for 2008-2009 articling positions. hi,martini am an international student interested in doing an llm in canada am particularly interested in university of toronto and university of victoria do you have any information 4 me? I would encourage you to contact the schools directly, but University of Toronto is among the top 3 law schools in Canada (University of British Columbia and McGill University are other the other usual suspects), and University of Victoria has a strong program as well. 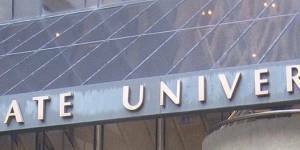 University of Ottawa and Osgoode (York University) also are in the top 5 in some rankings. If you are looking for general information, I would suggest you take a look at the link I have posted below, if you haven't already. I don't think any of the replies really get the heart of the matter. I studied in the U.S. and moved to Canada so I know the process and think I can add more helpful insight than has been offered to date. Contacting schools and law societies is a waste of time. Here is the process I strongly suggest - there is only one way to be qualified in Canada (and to get to the articling stage as a foreign trained lawyer will require clearing several hoops). First, I suggest writing the bar in the U.S. simply to keep your options open - as I explain the Canadian process you will see why I say this. Being a member in good standing of a U.S. state will factor into the evaluation of your credentials as well. Second, there is one committee in Canada that assess foreign legal qualifications and it is called the National Committee on Accreditation (Quebec has a separate committee but I am assuming that you do not speak French and do not have French civil code training). The link to the site is http://www.flsc.ca/en/foreignLawyers/guidelines.asp. Their process is listed in detail. Third, apply to the Committee for assessment of your qualifications. As a U.S. trained lawyer they will not consider your education to be equivalent to a Canadian legal education and will require you to probably take 8 challenge exams in particular subject areas for which you can study on your own, or enroll in a Canadian law school as a special student (that means you only get in if there is space and will have to pay market rates for your courses. Also, if you take the law school approach you will be in school for another 2 years). You will be given a time frame to complete this of about 3 years. Four, if you pass the challenge exams in the subjects then you are deemed to have an education equivalent to a Canadian law school education. Then you will have to try to secure an articling position (12 month period of traineeship with a law firm or lawyer), enroll in the bar course and pass the bar exam. Five, and a very important consideration, unlike the U.S. there are citizenship and residency requirements for those seeking to be called to the bar. If you do not yet have your landed immigrant papers for Canada apply for them based upon you relationship and training. So, that's it. Of course, Canadians can quite freely sit for bar exams in a number of states with their Canadian education so this is a very unfair process in my opinion. But, it is typical of the protectionist psyche that pervades much of the thinking in Canada - that is my editorial on the process. Needless to say, I never ended up going through the process and went into an alternative legal career rather than spending years to qualify for the Cdn bar when I was already qualified in three U.S. states. If you choose to go through the hoops...best of luck. Good response, Jonas. That's better advice that I could give. Thanks. Question for you: There was some rumour among Canadian and American law students and faculty that there is/was a bill to eliminate some part of the citizenship and/or residency requirement in Canada, or some popular belief that it would not be enforced because such a requirement would be unconstitutional. Do you know anything about that (one way or the other)? Very interesting thread. I consider qualifying in Canada and guess that in my case (law degree from Eastern Europe + LL.M. from top US school, sitting for NY bar this summer) the easiest way would be to get into a 2-yrs LL.B. program (some Canadian schools offer that for foreign lawyers). However I lack some important information - what are associate s' salaries? how hard is to get a job in a top firm? what are the best firms on West Coast (corporate, int' trade, competition, IP)? I actually haven't heard about the elimination of citizenship or residency requirements in Canada. I wouldn't hold my breath. We definitely have a more protectionist inclination in this country so I don't think the Law Societies are going to roll over on this idea. Also, ultimately, with our Charter essentially stating that a certain amount of unconstitutionality is permissible in a free and democratic society, it is quite possible that the court says these requirements are unconstitutional, but "reasonable" given the arguments in favor. I plan on taking the challenge exams by the National Committee on Accreditation in August 2007. Anyone else in the same boat? I recently decided to submit my credentials to the Committee and then will be taking to exams required. I have recently landed in Canada and am about to submit my credentials to the National Committee of accreditation. <blockquote>I plan on taking the challenge exams by the National Committee on Accreditation in August 2007. Anyone else in the same boat?</blockquote> I have recently landed in Canada and am about to submit my credentials to the National Committee of accreditation. How difficult are the Challenge Exams? I called the Canadian National Committee on Accreditation to learn about the Challenge Exams but they won't release any exam details other than the title of each exam. Are these exams something that can be easily mastered or is one required to memorize the Canadian tax code to pass the challenge Exam on taxation? Thanks for your answer. I heard some one is conducting classes for the challenge exam. If you know anything about these classes pl let me know. I am also sitting for the Challenge exam. What subjects have you completed? I am writing for the first time in Jan 2009. Can give me any guidence if you have written any exams? I dont know about such classes. I have not completed any exams yet. Jan 2009 will be my first attempt. About guidance, i am sailing in the same boat as yours. However, if you have any specific questions, please do not hesitate to ask and i can try to answer. I happened to come across this post on LLM Guide and was wondering whether someone could clarify a few doubts.I am an Indian qualified lawyer, completed my L.L.B from Pune in 2006, then came to singapore to pursuse L.L.M and been working in Singapore since June 2006. I will be getting married this year and moving to Canada. I understand that I need to submit my application to NCA for an evaluation and then they will let me know the number of challege exams I need to give. The other route is instead of challenege exams based on the committee's recommendation join a college and complete the subjects in one year (but that is expensive). I believe that u r going to give challenge exams this month. Could someone pls let me know how they went about preparing for these exams. The exams are open book from what i can read on the website. How did u go about collecting the material because NCA provides only the syllabus. Also how many papers can one person give at one time? Are these exams very tough? Would be great if I could connect with other Indian qualified lawyers planning to give these exams.